Here’s the second novel this year that I’ve read from Jamaica Kincaid. Lucy is a coming of age novel about a girl of the same name from the West Indies who is sent to North America. There she is meant to work as a jeune fille au pair for Lewis and Mariah. They are a young, successful, wealthy couple with four children. They seem to be the perfect couple – happily married and of the upper class, but shortly after her arrival Lucy starts to notice some blemishes on this idealistic family. Lucy is a young West Indian who seems to be happy to have left home, and particularly her mother. Even though, her coming, to what appears to be New York City, immediately triggers a sense of profound homesickness. She feels as if she is in the middle of two worlds. She is different and that is accentuated from the moment she arrives in North America – the cold air, a pale yellow sun. “I was no longer in a tropical zone, and this realization now entered my life-like a flow of water dividing formerly dry and solid ground, creating two banks, one of which was my past-so familiar and predictable that even my unhappiness then made me happy now just to think of it-the other my future, a gray blank, an overcast seascape on which rain was falling and no boats were in sight. I was no longer in a tropical zone and I felt cold inside and out, the first time such a sensation had come over me.” (Lucy p. 6-7) Through the story it becomes clear that Lucy’s moods change as the seasons do. In the winter she is lonely. The spring brings to her a sense of renewal, while summer contentment and autumn disillusionment. She has not lived with seasonal change and finds it unnecessary. As the story continues Lucy proves herself to be an observant critic of her surroundings and of her host family. It’s as if Kincaid uses this character to express the trials of a lot of West Indians that come to work or to immigrate to North America. She mentions how people start to speak with her by saying, “So you’re from the islands?”, as if all the islands are the same or worse claim to know where she’s from because they were there on holiday. Lucy is unsympathetic and extremely hostile, which often leads to her somewhat blatant commentary. It is sometimes a little comical, but is the principal reason she is perceived to be difficult and bitter. She tries to make her place in this family and develops a relationship with Mariah which is similar to a mother-daughter one. Searching for more independence, her sexuality evolves through sexually interested relationships that leave her dependent. It’s apparent that Lucy desires full independence and a break from her past but she speaks of home and her mother often. This proves the overwhelming force or her mother Annie Potter, despite her physical absence. never seen one, while she felt the beauty of her own homeland was ignored. Lucy is very short 160 pages and I found it making me want more. It isn’t really a plot driven novel, but more so a character developed one. Kincaid just needed to write a bit more (another 50 pages at least). Not knowing much about West India, I marvel at the way the sections describing Lucy’s memories of home-made me feel that sensation of warmth, sea breeze, and enticing scents, the same as in Annie John. Nevertheless, I’m not sure this book is for everyone. I say give it a try because it’s a little different from what most people are used to reading. Kincaid’s simple style allows you to fall quickly into the story, but the abrasiveness of Lucy may put some people off. 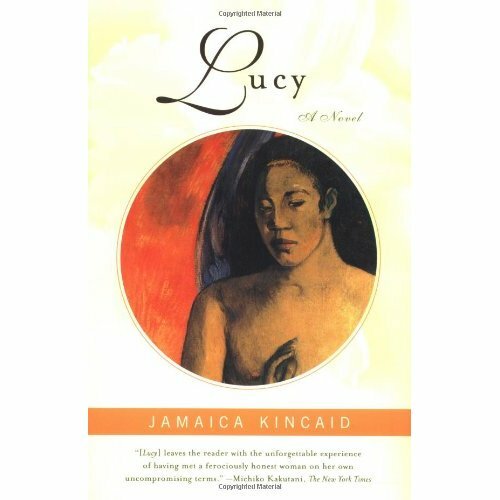 I rate Lucy 4 stars and will be looking for some more Jamaica Kincaid novels to read next year. 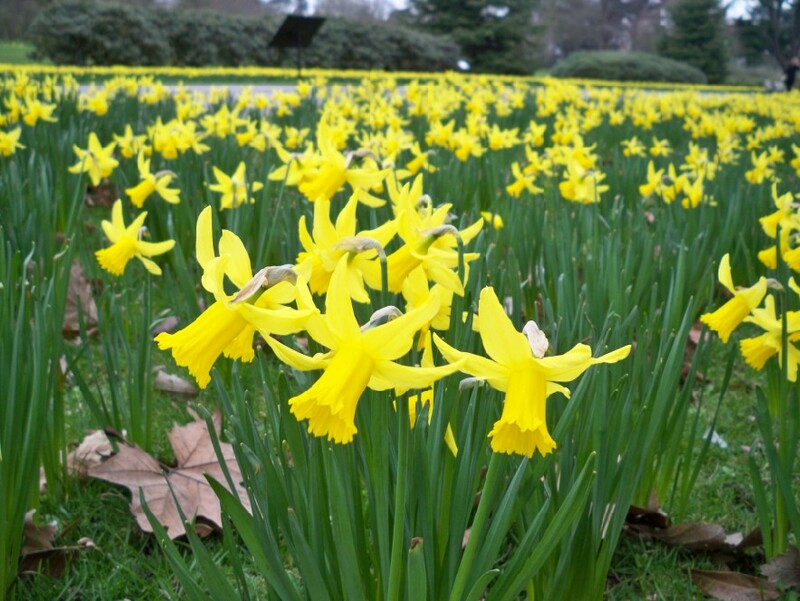 Below I’ve copied the Wordsworth poem Daffodils. What do you think about this poem? Does it inspire spring and rebirth to you? Do you enjoy reading Wordsworth?